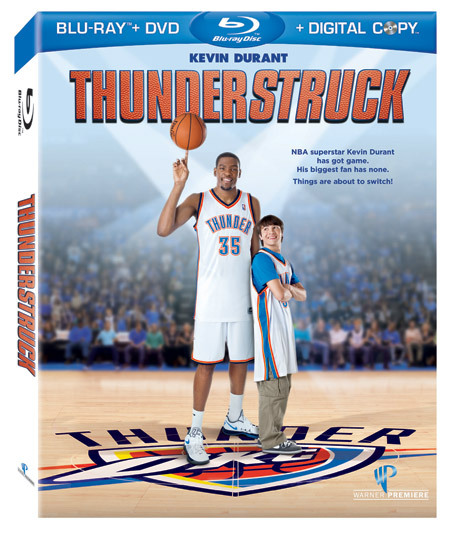 Warner Bros. is offering a giveaway for a copy of Thunderstruck, which will be released on DVD and Blu-ray December 4th 2012, to a lucky winner here on my blog. So, check out the app and be sure to enter to win on the Rafflecopter form below! If you're having trouble viewing the app on your computer, you can also view it HERE. Bibliophilia, Please is working with Warner Bros. in order to provide its readers with a fabulous giveaway. We have not been paid in any way to write this post. Just so you know, Facebook won't allow your link to be posted. For more information, visit the Help Center. If you think you're seeing this by mistake, please let us know. Thanks for the heads up, Holly! I'm going to check on that now. First try I got 8, then I did it again and got all 15! Thanks for sharing the game with us!! Thanks for the giveaway!!! I love the DIY Basketball Hoop! That is such a cool idea and how fun for my kids to make it themselves! Love that idea! I'm definitely going to make one! Wow...I'm not very good at virtual bball - I got 7??!! Dribble Thunder Tag looks fun and will get their dribbling while not looking skills up! I got a six, not so great. I like the DIY make your own hoop.